A custom iPhone Xs case designed by you using your own photos. Get a great look for your phone while providing it excellent protection against scratches and bumps. Designing your own custom iPhone Xs case can be done easily in five minutes. 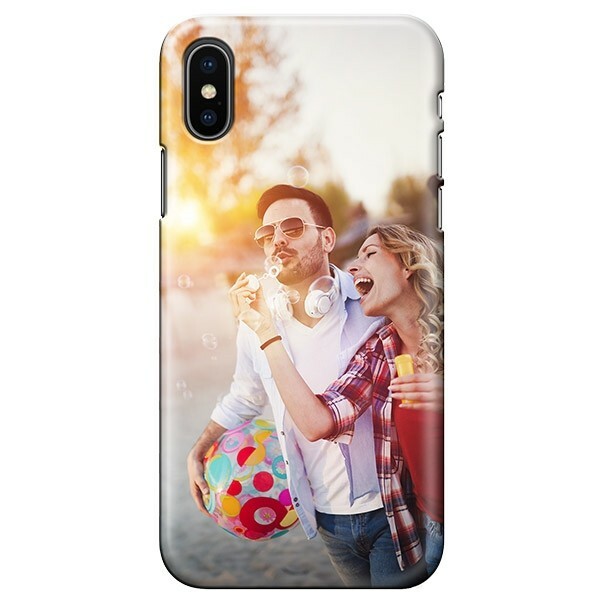 Personalize your custom iPhone Xs case. Do you want to protect your cherished phone and give it a unique design at the same time? You are the designer when you create a custom iPhone Xs case with GoCustomized. 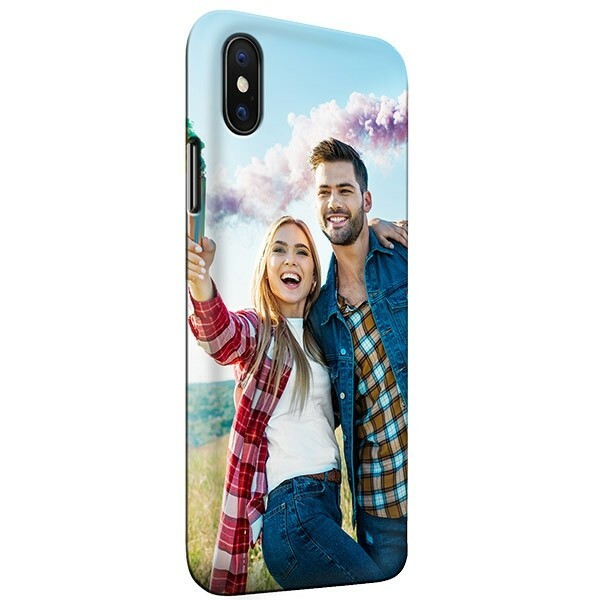 Print your favorite photos, a cool design, or even a logo on the back of this custom full wrap slim case to create a one of a kind look for your phone. This full wrap slim case maintains the sleek look of your iPhone Xs while allowing your photos to completely cover the back and sides of your phone. When you design your own iPhone Xs not only will it look great, but it will have the same level of protection as all other slim cases in the market. Design your own custom iPhone Xs case. Creating your perfect iPhone Xs case is incredibly easy using our Customizer. No need for photoshop skills; in three simple steps you’ll have a one of a kind phone case that fits your style exactly. First, choose the iPhone Xs and case type from our large collection. Second, upload a design or photo via your computer, phone or social media accounts, like Instagram or Facebook. This can be any image if it is in JPEG or PNG file format. Thirdly, make any image adjustments, add text or emojis, and finalize your order. Double check your order before you complete it to make sure it’s all correct. Start designing a custom case now in just five minutes. After you’ve designed your phone case. Before placing your order, please make sure to carefully verify all your order details. 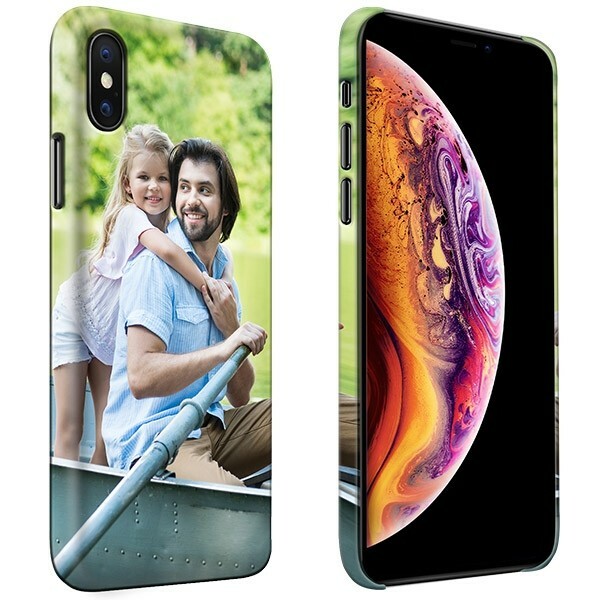 Once you have submitted your order with us, we will start to produce your custom iPhone Xs case almost immediately. Your custom case will be printed on the slim case using high-quality UV printers with scratch-resistant ink. This means that your print will look great for a long time. After your custom case has been printed according to your specifications, we’ll ship it to you and provide you with a tracking code, so you can track its progress. If only everything in life were this fast and easy. Design your custom case today and we’ll get it to you asap.